Properties in Cambridge Science Park average 4.3 out of 5 stars. Cambridge City Center - House near the River with FREE parking! Property 1: Cambridge City Center - House near the River with FREE parking! Property 20: Short break vacation and holiday apartment for couples & families. Property 21: WONDERFUL CENTRAL CAMBRIDGE 2/3 BED HOUSE WITH BIKES FROM £99 p.n. Stylish spacious 2-bedroom apartment furnished to a high standard. Property 33: Stylish spacious 2-bedroom apartment furnished to a high standard. Luxury Self Catering 3 bedroom holiday house in Cambridge. 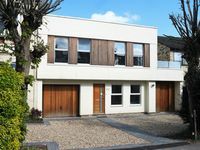 Property 39: Luxury Self Catering 3 bedroom holiday house in Cambridge. This is a great flat in a good location. Near to the train station. A book with any possible question. USB plugs built in. Speedy WiFi. Couldn&rsquo;t ask for anything more! Clean. We loved staying at this house for a week in Cambridge. My kids who are teenagers appreciated having their own space. The house was clean and quiet. The location was really fun, especially for tourists. It's very close to the river, settled among several boathouses. It's a nice walk along the river and less than a mile to museums, shopping, multiple grocery stores and historic points of interest. We also took the bus out of Cambridge a fair amount and it's close to bus stops. I would definitely recommend this location and stay there again if we decide to go back to Cambridge.